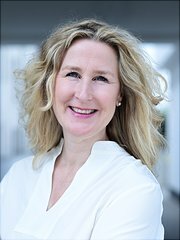 Prof. Dr. Nicola Berg joined the University of Hamburg in December 2008 and holds the Chair of the Department of Strategic Management. She has a post-doctoral degree ("Habilitation") and a doctoral degree from the Technical University of Dortmund. Her research interests include international management, intercultural management, human resource management, and public affairs management. She has published several articles in journals such as International Business Review, Journal of Business Ethics, Management International Review, Journal of East European Management Studies, among others. Several research trips to China, France, India, Russia, the US, etc.